The former British colony has continued its close relationship with Europe: almost 2,000 EU companies have offices in Hong Kong and regular Structured Dialogues take place between the EU and Hong Kong’s government to deepen and broaden cooperation. 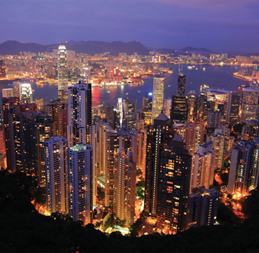 For more detailed information when trading with Hong Kong, download our Hong Kong Fact Sheet. Receiver to provide import licence or pay duties. State alcohol content, age, quantity, volume and brand for exemption proof, licence application or duty rate calculation. Transit shipments: obtain permit. Clearly state kind of commodity (i.e. made with what kind of animals – scientific names), or shipment will be subject to inspection. Involving endangered species including ivory: provide Convention on International Trade in Endangered Species of Wild Fauna and Flora (CITES) certificate, import licence and/or certificate of origin. Import and transit may require permit issued by Hong Kong’s Department of Health. Transit shipments with non-infectious content not exposed to infectious agents: declare explicitly on invoice. State technical details on invoice. Telecommunications equipment: receiver requires import licence from Hong Kong’s Office of the Communications Authority (OFCA). Receiver requires import licence from Hong Kong’s Department of Health. Send as goods. Clearly show shipper and receivers’ details on Waybill; state shipment is diplomatic mail and/or related to foreign affairs. Subject to inspection. State commodity type on invoice. Fresh milk: provide milk licence; powdered formula: provide export licence. Receiver requires import licence from Hong Kong’s Office of the Communications Authority (OFCA). Receiver requires import licence from Hong Kong’s Trade and Industry Department. Dutiable unless receiver holds import licence. For asbestos, Carnet shipments, chemicals including drugs and x-ray machines please contact DHL Customer Services before shipping.